Every mother wants to give her baby all that she needs to grow up healthy and strong. We all do. Which is why you need Evivo, the first and only probiotic that is clinically proven to restore a baby’s gut microbiome to its original, natural state. Receive $10 off a 4-week Evivo Probiotics Starter Kit with coupon code BLOG6221 or $20 off an 8-week or larger sized Evivo Starter Kit with coupon code BLOG6222 when applied at the online checkout. Each code will expire on May 31st, 2018 or after all 50 redemptions have been made. Our little guy hasn’t really had it easy after his entrance into the world, experiencing everything from chronic constipation and colic to even a head cold. While he has gotten over his head cold, he still has bouts of constipation and colic. He is inconsolable during these moments and will cry off and on for hours throughout the night. It has been overwhelmingly frustrating, exhausting, and heartbreaking since I have practically tried everything to help him! This includes eliminating certain foods from my diet and countless calls or visits to the pediatrician. 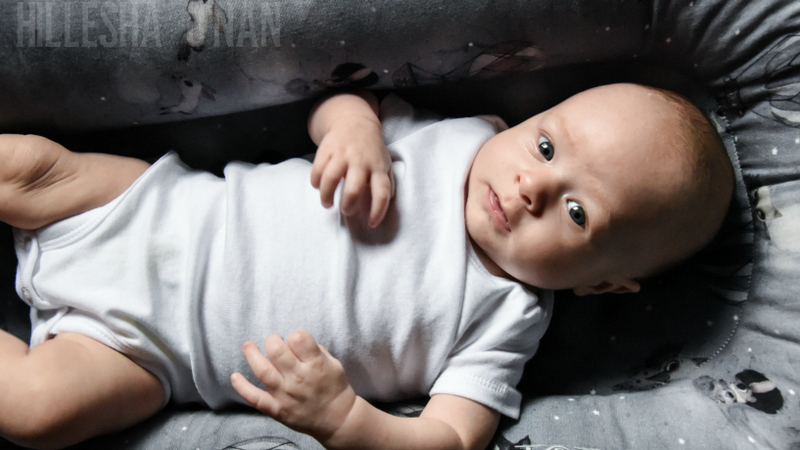 Did you know that gut bacteria can affect the health of your baby? In the recent years, the gut has been getting the recognition that it deserves. Kris Carr is a wellness activist and author that once stated, “Gut health is the key to overall health.” I couldn’t agree more! This is why probiotics are so popular these days and for the right reasons, too. So what are probiotics, why are they beneficial for babies, and how do we choose the right kind for them? Probiotics are the good bacteria that improves digestion and elimination, balances gut flora, and helps stimulate the growth of microorganisms while outnumbering the bad bacteria within the gut. The intestinal system can get weakened by many negative factors that can encourage the growth of bad bacteria. Studies have shown that digestive issues are often caused by the lack of proper balance of gut bacteria. Shake That Healthy Gut, Baby Got Probiotics! What am I using these days to help balance my baby’s digestive system? Evivo! How does it work? I mix one sachet of the probiotic powder with 3-5 ml of breast milk in the mixing bowl provided. 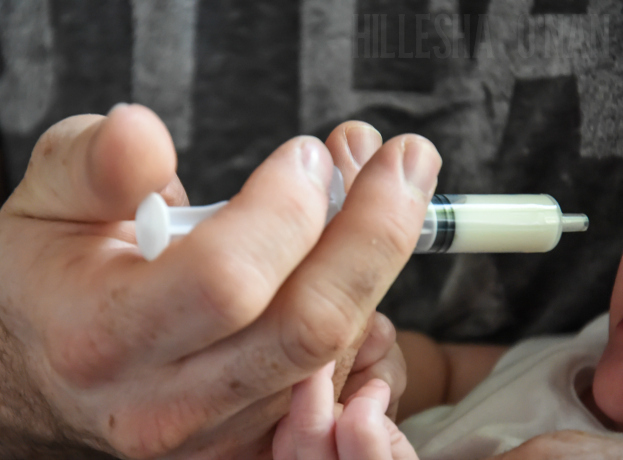 I put the mixture in an enclosed syringe that is also provided and then give it to my baby. Easy peasy! Evivo stores best in the freezer until ready to use. You can also keep it in the refrigerator for up to 1 month. The probiotic powder contains B. infantis, the good bacteria, which has disappeared over generations. In fact, babies in the United States no longer receive B. infantis at birth. Research has shown that B. infantis reduces harmful bacteria that is linked to eczema, obesity, diabetes, and allergies. 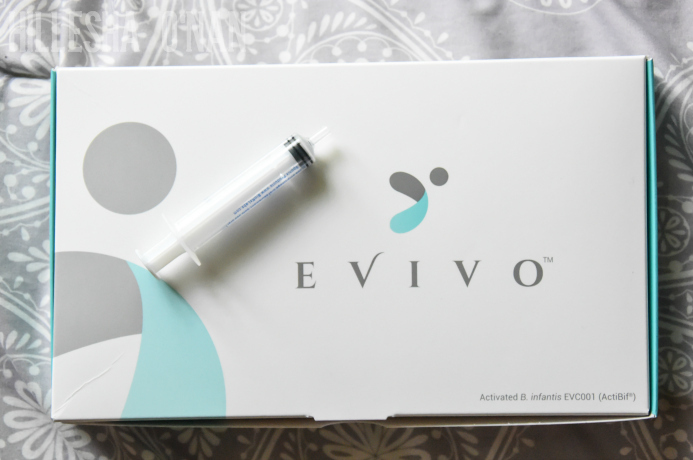 Evivo is actually the first and only probiotic that is clinically proven to restore a baby’s gut microbiome to its original and natural state. Receive $10 off a 4-week Evivo Probiotics Starter Kit with coupon code BLOG6221 or $20 off an 8-week or larger sized Evivo Starter Kit with coupon code BLOG6222 when applied at the online checkout. Each code will expire on May 31st, 2018 or after all 50 redemptions have been made. I knew that probiotics were important for adults and kids, but I didn’t know they were good for children that young Thanks for the heads up! My oldest son suffered from colic when he was a baby and I hated to see him suffer. I wish I would have known about probiotics for babies at that time. That is so great! Probiotics are key to a healthy life, but I didn’t know you could start the kiddos off so young. Wonder if this would help my sister-in-law. Her daughter and her son both have a lot of health issues mostly with food. I will have to tell her about this because I’m betting she would try it. Such a cutie! Gut health is definitely important and not bad to start early either! I’ve never heard of Evivo but I’ll have to check it out! I didn’t know that this was available for little babies. This is great for newborns. I have no babies but my brother does and I will tell him about this. I think a healthy gut is important as many babies are colicky. I did not know babies have to take probiotics too! I need to get back to taking some myself. Probiotics are very good for us, infants, toddlers and even up to adults. Never heard of Evivo. This is great to know! Our oldest son had colic for his first 4 months of life. It’s so hard watching them suffer and trying everything you can to help your little guy feel better. I’m a huge believer in probiotics, but wish I would have known about them when our kids were little. So happy to know it now! Probiotics are so incredibly important. My daughter has struggled with allergies and eczema since she was a baby. How wonderful that there is such a great product out there to help support infant gut health right from the start. My niece had tummy troubles as a baby. I felt so sorry for her and my sister. A probiotic like Evivo might have really helped improve her acid reflux so she didn’t just have to wait to grow out of it. Cindy Ingalls recently posted..LaFlore Skincare Uses Probiotics for Beautiful Healthy Skin! Probiotics are a part of our entire families daily lives! We SWEAR by them and it is essential we start as early as possible to help ourselves have a healthy gut! Probiotics are soooo important!! I’m glad more and more people are using them these days!! Probiotics are so good for babies and help with tummy troubles. I haven’t tried this one out, I’ll definitely look for it. Probiotics is really important especially for our kids. I think it’s awesome that there’s a product that parents with newborns can turn to for their baby’s probiotic needs! I really hope this helps your little one. It’s really hard when they are sick so young. It doesn’t make it easy. Our health is so important and it’s good to find products that support and help that. This is a really neat post. Probiotics are really great for you, but I didn’t really think anything of using them for babies. You are certainly right. A healthy baby should always be top priority. I am glad you found something that works for your family. This is so informational! This post is certainly going to help people out there learn more about great ways to ensure the health of their babies. I think this is great for babies. I honestly didn’t know they made this for them, I just thought probiotics were for kids and adults. This is so good to know. Gut health is so important! I see it everyday working in the pharmacy that it’s one of the most important aspects of health! This is interesting. 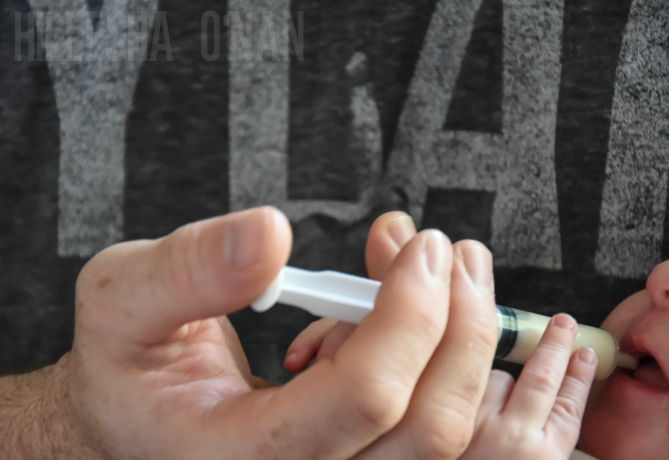 I for once was so scared of my little boy, but I was also so hesitant to use Probiotics. But after reading this, I am in some way, assured that it is safe for babies. I’ve always know probiotics were important, but I didn’t realize they were available for babies. It makes sense, though. We’ve been taking our girls to the chiro since they were born, so why wouldn’t we worry about their gut health from the get go as well? 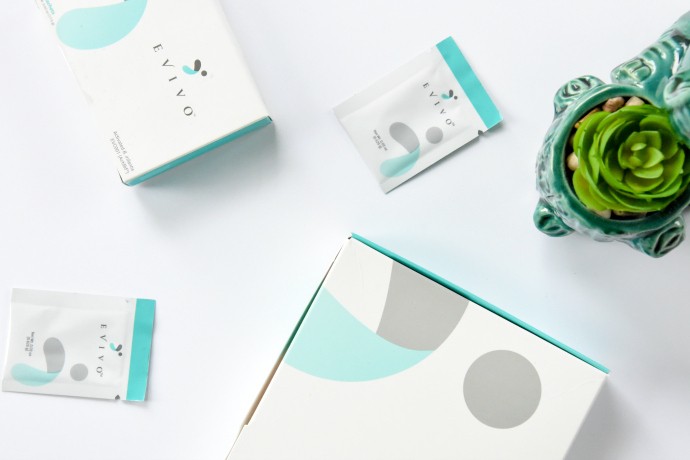 I’d never heard of Evivo before, but it sounds like a good product. I’m gonna check it out. Wow, colic has got to be so hard. I can’t imagine the patience you have to have to get through the night with a crying baby. Probiotics are so good for the gut. I hope it helps bring some relief. Wish I had known about this for my little girl. She suffered from colic and for about 9mths I dealt with a baby who would cry for about 3.5hrs straight. I tried everything and most did not work. Hope your little guy enjoys the benefits. It’s so cool to see this being available to babies, whose gut health is extremely important. When mine were little this wasn’t heard of. Probiotics are life for me! I take them everyday. Why I don’t have children I still think anyone can relate to this and use probiotics. Keep yourself healthy. What a sweet little baby, adorable! Probiotics are great and I can see why it’s a good idea to introduce them early. I wish these were around when my boys were babies. My youngest was a “puker”, and this probably would have helped. Oh how interesting, I had no idea about this before. Great post to learn from! My daughter and I both take probiotics daily! I had no clue babies could take them as well! Sorry about the hardships you are going through. Does the baby seem to be ok with the taste?